Building Regulations Part F wants to know how much air (in m3hr) passes through each metre square area of the fabric (m2). This is the Air Permeability (AP or m3.hr/m2) figure of the building. To get the AP figure, one calculates the volume of air in the property. Then one calculates the total external envelope area (the walls, the ceilings and the floor areas all added up). 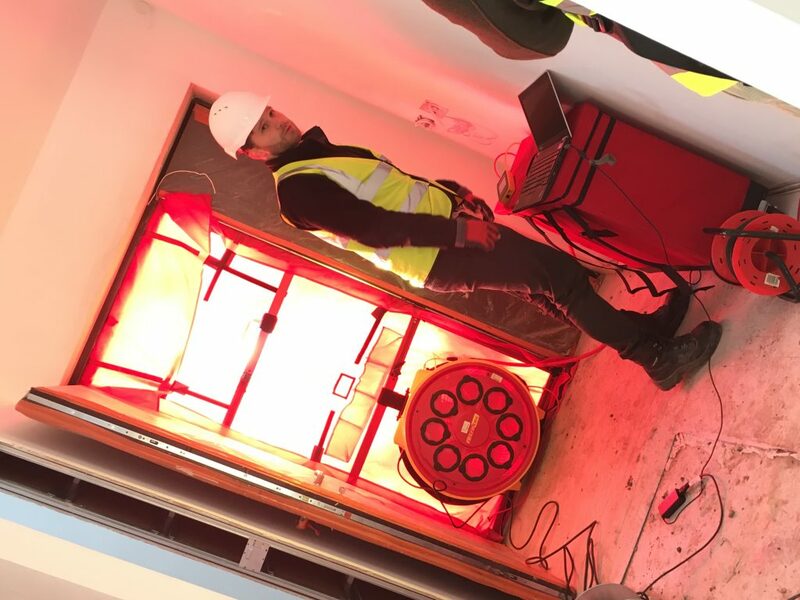 With these two figures the blower door test can work out how often a cubic metre of air leaks through a square metre of the fabric of the property. The Passive House figure doesn’t care about the envelope area. All it needs to know is the total volume of the building. 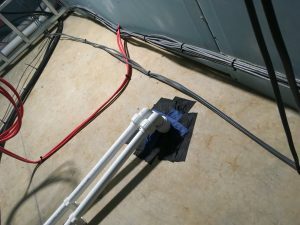 It then measures how fast the air has to enter through the blower door fan to keep the building at a steady 50 Pascals of pressure differential between inside and outside. The fan pressure, the fan speed and the pressure differential. 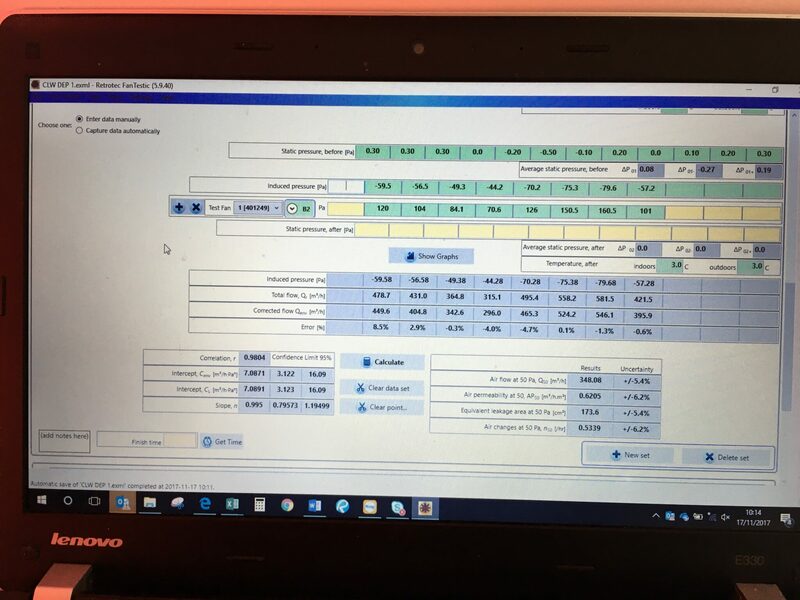 If your airtightness technician hands you a report at the end of the test that provides you with the Air Permeability figure only, which is all he’s strictly been asked to do, you are in trouble. 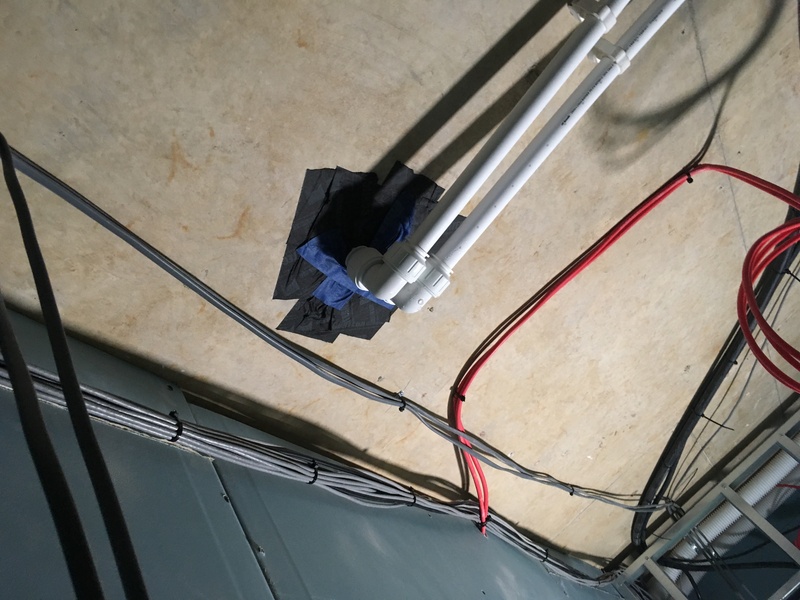 If he doesn’t record the fan pressure, the fan speed and the pressure differentials in real time and send them to you after the test, you will not be able to work out your Passive House ACH figure. You will have to pay hundreds of pounds to do the test again. 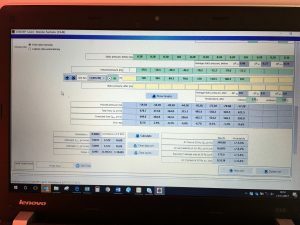 At Enhabit, the Passive House consultancy where I work as our new in-house airtightness technician, we record all airtightness testing data relating to both SAP and Passive House compliance in a full report that’s handed over to you within a week of the test. If you need an airtightness technician that understands Passive House airtightness testing, contact me via email at Patrick at enhabit.uk.com (replace the “at” with an @).